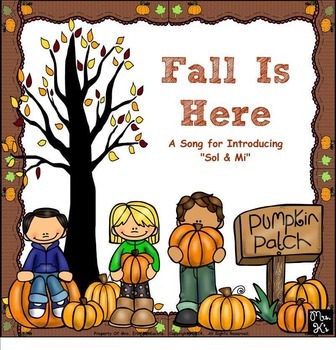 FALL/THANKSGIVING-BUNDLE KIT:Music Room Activities/Songs/Lessons - SMNTBK ED. This SMART NOTEBOOK lesson is appropriate for elementary music students in grades Kindergarten and 1st. grade. 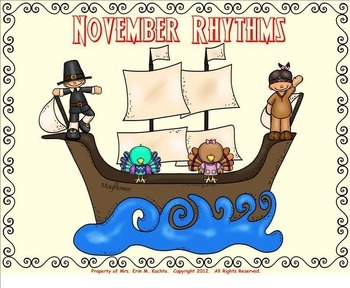 Students will be able to recite this cute Thanksgiving rhyme while keeping a steady heartbeat. A beat tapping chart with adorable graphics is provided. Other activities include a rhythm notation reading exercise in which the new rhythm of "ta-a" (half note) is introduced, reading the melodic notation on the staff, etc. There are several fun recordings of this rhyme available through many of the elementary music text book series that could be added to this lesson (example: Share The Music, Making Music, World of Music, Etc.). 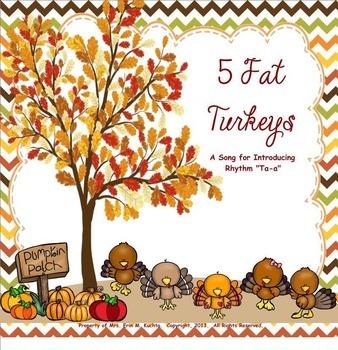 Adding instruments to this cute song is also a fun way to bring this classic Thanksgiving tune to life. This Smart Notebook file is appropriate for elementary music students in grades Kinder. and 1st Gr. Students will be required to identify the number of sounds (syllables) that each Thanksgiving picture has. They will have the opportunity to recite/clap/sing/play/etc. these suggested short rhythmic patterns. They will also be able to create their own rhythmic patterns to share and perform. This SMART NOTEBOOK lesson is appropriate for elementary music students in grades 1 and 2. Students will be expected to keep a steady heartbeat, label where the heartbeat falls on given words in the song, identify/label the sounds per heartbeat with picture icons as well as real rhythm icons, and label known Solfege tones on the staff. 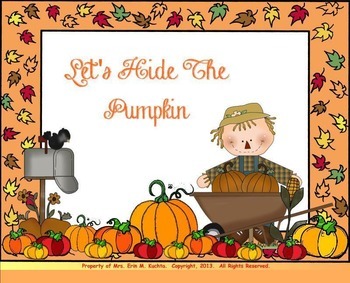 Students will also be made aware/preparation of the new unknown/"mystery" Solfege tone "Do" as they learn this new, original fall themed song. 1. A picture icon heartbeat tapping chart. 2. A rhythm notation/dictation activity. 3. Reading rhythmic and melodic icons in high and low sequence patterns in preparation for reading real notation on the staff. 4. Reading melodic notation on the staff using picture icons as note heads. 5. Reading "real" rhythmic/melodic notation on the staff. 6. Identifying/Labeling Solfege tones on the staff. Each individual lesson includes directions, suggestions, ideas, etc. Game directions are also included for each individual lesson (if applicable).